E-commerce in India has long been accused of being built on massive discounting and catering mostly to well-to-do customers in large metros. While this has been largely true for the past four years or so, today, large e-tailers including Amazon, Snapdeal and Flipkart argue they are at an inflection point where e-commerce becomes universal in the country. That inflection point came during the festive sales these players held at the start of this month and has been in the making for at least the past nine months. For the first time, more customers outside large metros shopped for products online and were even willing to pay more for convenience - a stark contrast to how the industry has been perceived. Amit Agarwal, country manager at Amazon India, said: "A week before the Great Indian Festival sale started, a popular comment would have been that e-commerce in India is primarily limited to well-off families in urban India. But more than 65 per cent of our shipments go to Tier-II and below cities and during the festive sale, it was higher - closer to 70 per cent." One of the biggest reasons for this has been the trust e-commerce companies have built in consumers' mind. Cash payments, which allowed customers to pay for goods only when delivered, are at an all-time low, indicating an increase in trust. While not only making it much easier to accept payments, e-commerce companies see this as a way to reduce returns. During the recent festive sales, which kicked off at the start of this month, Flipkart said cash-on-delivery (COD) accounted for 60 per cent of goods sold on its platform, down from 75 per cent a year ago. Rival Snapdeal pulled off an even better show, claiming that for the first time, more than 50 per cent of all its orders were prepaid. "The festive season is an inflection point for the growth of e-commerce industry," Snapdeal said in response to a questionnaire sent by Business Standard. "The increase in smartphone penetration and the explosion of choice at the sub-Rs 10,000 price point shows the importance of digital access for all." Flipkart pegged the share of orders coming from Tier-II and Tier-III cities at 65 per cent, saying it was nearly double of last year's Big Billion Day sale. Snapdeal said 60 per cent of its sales came from outside metros, while Amazon said the number of shoppers from smaller cities grew 30 times during its sale. While penetration is growing, it's forcing e-commerce companies to change the way they do business. Marketplaces, by definition, cannot stock their own inventory, so they rely on sellers. But to get products shipped to customers from smaller cities, they've now begun stocking their sellers' inventories at their own warehouses strategically placed to ensure quick deliveries. "With 27 fulfilment centres across 10 states and among the strongest distribution and delivery network, it is no surprise that this festive sale saw such a strong degree of transactions from Tier-II & -III cities," said Amazon. Chief Executive of Flipkart Binny Bansal said in a recent interview more than 60 per cent of the 15.5 million orders the company processed during its five-day Big Billion Day sale were fulfiled by the company itself. This was in stark contrast to just 20 per cent during its sale last year, which led to a massive pileup of deliveries and disgruntled customers because deliveries were delayed. Experts, however, argue the changes seen this festive season are part of growing sensibilities at e-commerce companies to reduce cash burn. With the new foreign direct investment norms for e-commerce marketplaces disallowing such players from discounting products, it's gotten much harder to play the price war. 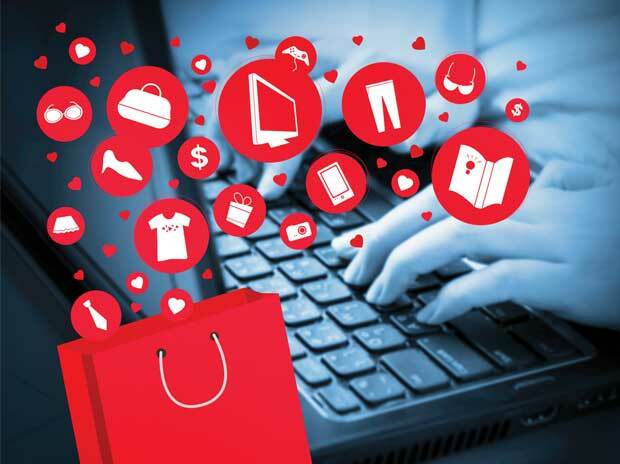 Chief Executive at consulting firm Third Eyesight, Devangshu Dutta, said: "There is a pressure within the e-commerce businesses to discover more margin. Discounting is less aggressive and the focus is as much on building margin during the festive season as on gathering turnover. Product mix and merchants are being reconsidered." E-commerce grew in India on the back of books, a model Jeff Bezos had perfected in the US with Amazon years earlier. Books were cheap enough for customers to trust relatively new e-commerce companies with, were easy to ship and had an almost universal demand. In a decade, that story had completely changed. Indians are now buying everything from smartphones, clothing, consumer durables to even vehicles and homes online. The ticket prices for purchases are on the rise, too, and experts credit this not just to growing income levels, but acceptance by consumers to make larger purchases online. Out of the millions of orders Flipkart got during its sale, for instance, over 100,000 had a value higher than Rs 50,000. For Amazon, an estimated two million orders out of its 15 million during its sale were subscriptions for its Prime membership. While the membership cost just Rs 499 a year, Prime members in the US spend on an average $1,200 a year on the platform, double what a non-Prime member spends. Amit Agarwal, who heads Amazon's India arm, said it was a huge win, indicating that India's e-commerce market was evolving even faster than what was seen in the US. It took a decade for Amazon to roll out Prime in the US and another decade for it to become a norm - half of all households in the US are estimated to have one Prime member. In India, it's taken just three years and adoption is already off the charts. But India's e-commerce market has been built on an immense amount of capital being pumped into offering discounts to hasten adoption. This could come back to hurt e-commerce companies as all they're doing is pulling customers away from offline channels with the lure of discounts, and once they stop, people might just go back. "If the industry insists on having e-commerce being seen as separate from the rest of retail, it will be fighting a battle against itself in which there are no real winners except for advertising media and the last player left standing with money in the pockets," added Dutta.